Thanks to Sri Pradosham mama gruham for the newsletter. Can we give bath to a banyan tree ? the way by which , we all can attain salvation, by exhibiting Himself as a pure saint ( sanyasi) , with the penance of Suga Brahma Rishi. It is our great fortune , He has taken Avatar as Sri.Sri.Sri,Mahaperiava, for the sake of this society. As a small boy when he was studying in a Veda patasala , he kept his guru in a very high position, who was teaching Veda lessons to him. His guru in between Veda recital lessons, talked to this tender aged youngsters about Jagat guru, Sri.Sri.Sri. Mahaswamy’s greatness and made them to taste the bhakthy bava simultaneously. Young patasala students go to their native places during holidays. Whenever they go like this and come back,they bring with them the items available in their places to their guru with lot of affection. Our young boy Ganesan too brought big big chillies ( called Kodai milagai in Tamil), big brinjals and in addition some vegetables too to his guru. 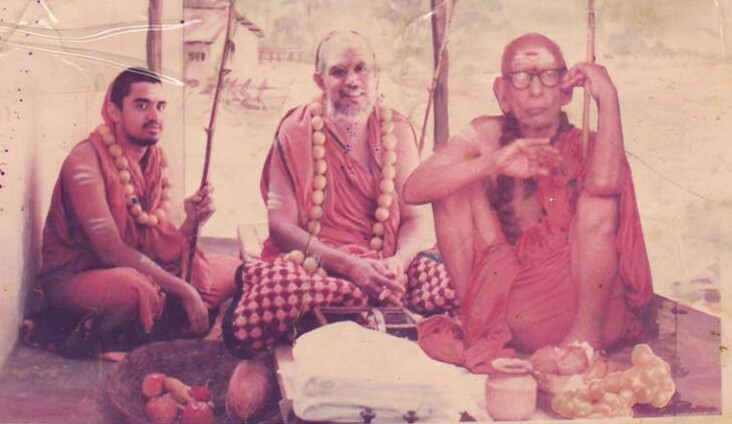 His guru having instructed always that some items are to be placed to H.H.Periava, this young lad had bought plantain fruits called “elakki “ small in size for presenting to Periava. The young boy Ganesan stood hesitatingly with the thoughts that his guru has asked him to take all vegetables specially brought for him and present it to Mahaperiava. 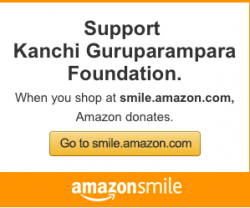 His guru with all kindness advised him, “ dear child ! How do you think we can reciprocate to that great God , who showers blessings to all of us ? He is a great banyan tree.We can not give bath to a banyan tree ( vriksham). Even though we are unable to pour a bucket of water , we can show our gratitude and get satisfied by dropping a spoonful ( uddharani) of water to that tree. Theynampakkam to have dharshan of Sri.Mahaperiaval with all items. Incarnation of Vedas Himself, Sri.Mahaperiaval being inside , this young boy chanted in a majestic tone the Veda mantras to attract the attention of His Holiness, Sri.Periava accepting this came out to give Dharshan. The youngster being blessed to have Dharshan, spread and placed all vegetables and fruits in a bamboo plate and presented in front of Sri.Periava. “ Are all these items brought for me?” The first question shot was a testing one to check the integrity of the boy to answer. The boy strictly following his guru’s teachings that he should never tell a lie, that too to speak only truth to the God Mahaperiava, answered, “ No , Periava… I have brought only elakki plantains for you, my teacher only asked me to take all vegetables to Periava, which I brought for him “, thus he spoke the truth. “Are all these yields ,from your land?” innocently as if He doesn’t know , H.H.asked the boy. “ No, Periava, such facility is not there”. “This child with lot of affection bought all these to his guru”, not only complimented the boy , but also made this boy happy. With His holy hands he fondled the vegetables one by one. Suddenly the walking God enacted a drama.The living God bent down, lifted the bamboo plate over His head and before any body could wink their eyes poured the entire vegetables over His head! Who got startled watching this . “ Oh, God, have I done anything wrong” was the thought running in the nervous boys mind. Maha periava not only by His different action, but also with kind words told “ Go, tell your teacher that you have given bath to banyan tree.” For almost a minute Sri.Ganesan’s mind was blank. Only after moving away few steps , he could realise that the words “giving a bath” are exactly the same as what his teacher has told him earlier. Sri.Mahaperiaval has poured like this. With enthusiasm filled all over, he ran and described the sweet incident to his guru. “That’s Periava” are the words by his master with shaken body and he prostrated in the direction of Periava. Sri.Ganesa Ganapadigal lived in Bangalore. Same time Sri.Mahaperiava was at a place called Gulbarga,blessing His devotees . One day Mr.Sundarrajan, a learned scholar came to Ganesa Ganapadigal’s house. He enquired about a Sanskrit book and desired to have this book. Sri.Ganesan also tried his search every where, as a great scholar has come to him seeking his help . With the help of an officer from Sanskrit books library, this small book could be traced by him in about three days.His Joy knew no bounds ,when such a small book with 4 pages could be seen hidden in between two big books .He informed Mr.Sundarrajan immediately about this. Mr.Sundarrajan also a happy man , passed on this information instantaneously to Gulbarga where Sri.Mahaperiaval was camping. Message was received from Sri.Mahaperiava asking Sri.Ganesa ganapadigal to visit Gulbarga along with this book. Ganesa Ganapadigal’s whole body shook when he came to know from Sri.Sundarrajan that it was Periava’s order through Sundarrajan to Ganapadigal for the search of that book. Financial constraints were there to travel upto Gulbarga, but one philanthropist helped him to proceed. When he had Dharshan of Sri.Mahaperiaval , H.H. enquired about the way in which this book could be traced out. His Holiness also ordered him to stay for 3 days and do Veda parayanam. Having decided to carry out the orders of Sri.Mahaperiaval to stay for 3 days , Sri.Ganesan desired to receive something valuable from His Holiness with his palms stretched down . His mind longed to request for H.H.Periava’s Sri Padukas and pleaded to His Holiness when he had His Dharshan. He was disappointed when Sri.Maha periaval had not answered. First day, second day and third day also was gone. Disappointment only was in forefront as he was having Dharshan everyday. Third day evening he stood in front of His Holiness Periaval awaiting His nod to return home. 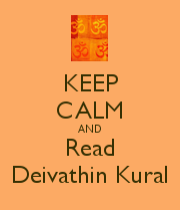 Sri.Periaval opined “you stay for one more day “, but during this time too, H.H.never spoke about Paduka. Sri.Ganesan stayed for one more day and again stood in front of Sri. Sri.Sri.Periava that evening around 6 .00 p.m.
“How are you going back? Is it by bus or train?” Sri.Periava asked him and also questioned the assistant by His side whether there is any train at that time. The close assistant informed that there is a train at 6’ 0 clock. Padukas for which Ganesa Ganapadigal was yearning. Wrapping the Padukas in the new dhoti given by His Holiness, he left the place by six P.M. for the train supposed to arrive by 6 P.M! Sri Padukas accompanying him as protection, Maha Periava’s words never fail, the train arrived 20minutes late. He was taken aback by seeing the crowd in the train.In all coaches passengers were hanging outside holding the rails . Standing standstill,thinking that even squeezing himself in the train is impossible , the train arrived and halted. One TTR came near him who is in utter shocks and enquired in Kannada whether he is coming from “Padhaswamy”. In these places that’s how they mention about Sri.Maha Periaval. When he nodded positive ,TTR showed one berth and asked him to go there. He could not believe what was happening. Very tired person he was , fell asleep immediately. By the time he got up Bangalore station had arrived. Our person coming out with lot of fear , TTR accompanied him upto the exit gate , bid good bye and refused to accept the money offered by Sri.Ganesan. Sri.Ganesa Ganapadigal explains with emotion ,how Padhaswamy ,Sri.Sri.Sri.Mahaperiava accompanied him in the guise of Paduka. He assures how such a living God , Paripurnam, full of embodiment everywhere blesses all devotees with all types of sow bhakyam and Sarva mangalam.